HONOR…The Cheyenne Kiwanis Club and Senior Citizens honored Cheyenne Senior Rebecca Shepherd as the April Student of the Month. 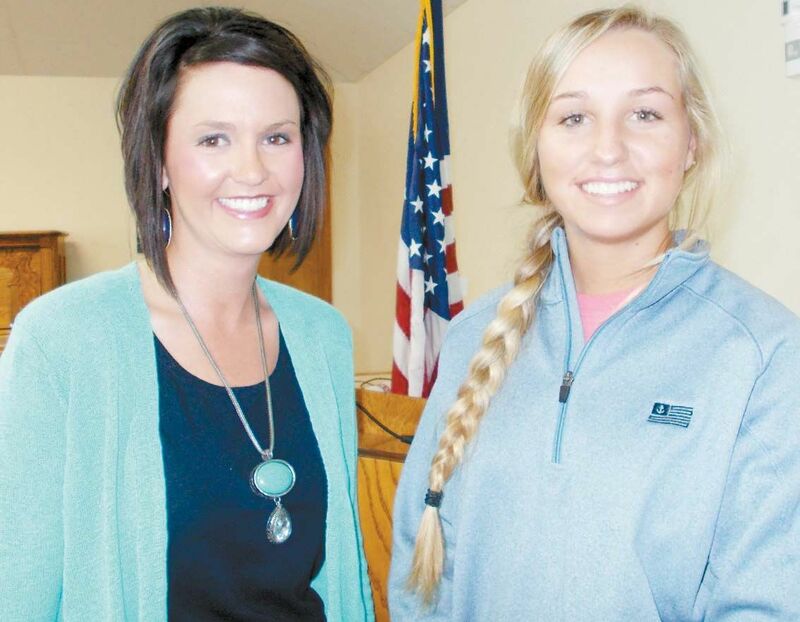 She is pictured with Cheyenne High School Principal Mrs. Whitney Moore. By Pat VerSteeg — CHS April Student of Month, Rebecca Shepherd, was honored this past week at the Kiwanis/Senior Citizens luncheon. Principal Whitney Moore introduced Rebecca as a multi-talented student who is at home in classroom as well as the rodeo arena. Rebecca took to the podium and thanked the club for the honor, and spoke of her activities. She is active in choir, FFA, rodeo barrel racing, and finds time to take concurrent enrollment college classes.